Now displaying 101 - 120. If you plan to have multiple employees using QuickBooks, you can limit their access to specific areas. Controlling access to your QuickBooks company file is easy when you’re a one-person accounting department. You simply use one password to protect your data. But when you add new employees to the mix, do you want them to have access to absolutely everything in QuickBooks? Probably not. You have confidence in your employees or you wouldn’t have hired them. But this isn’t solely a matter of trust. It’s just good business practice to restrict individuals to specific areas and responsibilities, no matter what the application. So! What Do YOU Do For a Living? Those words can strike fear and paralysis in the hearts & minds of the tragically unprepared. If you’re newly in business for yourself, or have just never really gotten your head properly wrapped around HOW you should respond to this powerful question, you’re sunk. Handle it the right way, and you’ll be rewarded with confidence, respect, and a fatter bank account. In this article, I want to discuss a simple way to develop peace within, while in the midst of the chaos that many of us live. We spend our lives thinking that there is some end goal, some place where we can be that will finally bring total happiness. Then to get there we set crazy goals that consume most if not all our time. Implementing the right list and using the right letter when creating your direct mail campaigns to locate motivated sellers is crucial to your success as a Real Estate Investor. There are lots of different ways to find these lists and lots of different types of lists to choose from. The easiest way I suggest to locate a list to use for mailings is to simply go to your property appraiser’s office or auditor’s office and have them create it for you. There are many different parameters you can use to create these lists. Wholesaling is probably one of the easiest, yet most deceiving aspects of Real Estate out there. There is no shortage of people sharing how to be a wholesaler from online courses to packages to free videos. When looking at all the information available on the subject, how does one know which information is correct (including this article)? What Seems to Be Holding You Back? Had a good conversation with an investor friend about the financial collapse of Greece. The country is so broke that not only can it not repay its loans, it can’t make its note payments either. What’s Greece’s solution to this financial meltdown? They want to borrow even MORE money! It’s crazy for anyone – including a country – to believe that the way to get yourself out of a financial hole is to dig it even deeper! Yet that’s exactly what Greece – and way too many American families…and America herself – is doing. Come join us at our next Savannah REIA Monthly Meeting on Monday, July 10th at 6:30PM hosted by Aislee Jackson at the Homewood Suites Savannah located at 5820 White Bluff Rd, Savannah, GA. This is our main Savannah REIA Meeting for the month, so don’t miss it! Please be sure to invite your friends to join us at the meeting and to follow us on Meetup.com and Facebook.com. We look forward to seeing you at the meeting! Early Registration Special is Going on NOW for a Limited Time Only! Register Today for the Two-Day Cash In A Flash Foreclosure Summit on Saturday & Sunday, August 26th & 27th in Atlanta being taught by Bill and Dwan Twyford – the Nation’s leading foreclosure experts. In fact, Bill and Dwan are considered the Nation’s #1 experts in Short Sales, Foreclosures, Flipping, and Negotiating! 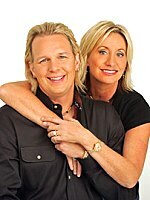 They have personally bought and sold over 2,000 properties, bought millions of dollars in commercial property, coached 1,000’s of students through successful real estate deals, and have been making millionaires all over North America for almost twenty years. If you don't know them, that's okay - You will get to know them very soon. They come from a place of ethics, hold themselves to the highest standards, and they make millionaires! They are the real deal! At the Cash In A Flash Foreclosure Summit they will show you how to run an ethical, fair, and PROFITABLE real estate investing business that WILL make you a multimillionaire, too! Working a Market No One Else is Working! All This, Answers to Your Questions & Much More! As you can see this will be a knowledge packed 2 full days of excitement and education. We look forward to seeing you at this great event on Saturday and Sunday, August 26th & 27th! *PLEASE NOTE: Tuition price will increase and will be per person after Early Registration Expires. Register now and save. Non-Members who join Savannah REIA between July 10th – July 31st, 2017 can attend the workshop for NO CHARGE. Also, Savannah REIA Members who renew their membership for an additional year between July 10th – July 31st, 2017 can attend the workshop for NO CHARGE as well. When joining Savannah REIA or renewing your membership, you must let us know that you want to attend the workshop at no charge. 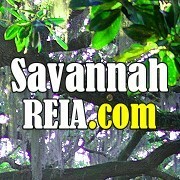 You can join Savannah REIA at membership.savannahreia.com. The Plan You Need For Lasting Wealth By Investing Profits Into Real Estate withOUT a Lot of Money, Time or Skill To Start. Come join us at our next Savannah REIA Monthly Meeting on Monday, June 12th at 6:30PM with our special guest speaker Nate Scott at the Homewood Suites Savannah located at 5820 White Bluff Rd, Savannah, GA.
Over 77 million baby boomers will be retiring over the next 10 years and they face the fear of out living their retirement. 66 out of 100 people age 65 earn less than $30,000 in retirement. Would you agree it's critical that people learn new strategies to survive and thrive in a very differnent economy? This is the cash flow danger red alert that no one is talking about. Until now. Join us on Monday June 12th at 6:30PM, and Nate will show you a blueprint for creating lasting wealth by investing in real estate and share how his biblically based leadership plan will clearly identify the retirement cash flow danger and will give you practical steps that you can take to address it. What is the cash flow danger? After serving in the Army, Nate earned an MBA from George Washington University and an Executive Certificate in Financial Planning from Georgetown University. 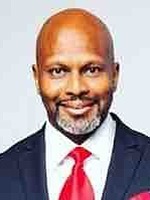 From 2004-2006, he worked as a licensed financial advisor before accepting his last corporate job as the Chief Financial Officer for a mortgage and real estate technology company. In 2007, they were listed as an INC 500 fastest growing. As an entrepreneur and network marketing professional, Nate is the co-author of the book “Pillars of Success” along with Jim Rohn, Alexander Haig, and Pat Summitt. The book is a compilation of ideas from numerous experts who share the “how” and “why” of their success. In this book, Nate shares the story of how he made his first million by age 32..
You don’t want to miss this event! RSVP Now! This is our main Savannah REIA Meeting for the month, so don’t miss it! Please be sure to invite your friends to join us at the meeting and to follow us on Meetup.com and Facebook.com. Subscribe to our Savannah REIA Email & Newsletter List and we will deliver The Profit Newsletter ($19.95 value) and other updates and announcements to your inbox every month for FREE! Join Our Mobile VIP List by texting the word SAVANNAH to 912-480-9222 and get periodic text updates from us about meetings, workshops and more. Join Our Mobile VIP Home Buyers List by texting the word ADDME to 912-480-9222 and get periodic text updates from us regarding HOT, Off Market Houses for sale. Also, be sure to Like Savannah REIA on Facebook where we will also be posting any upcoming meetings, events and other useful information. You can also interact with our Facebook page and post your have’s and wants as well. 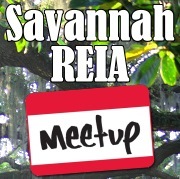 Join Savannah REIA on Meetup. If you are interested in being a part of the Savannah Real Estate Investors Alliance, investing in real estate or just want more information on our new REIA, be sure to Join Savannah REIA’s Meetup Group so you can stay informed on any upcoming meetings and events. See Savannah REIA Events Calendar for More Events! The June 2017 Edition of The Profit Newsletter is now available for download. There are 50 pages this month full of upcoming meetings, workshops, educational articles and other valuable information for your real estate investing pleasure and success. Download it and check it out! 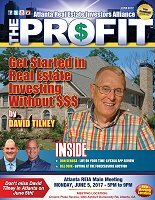 The Profit is Atlanta REIA's digital, interactive newsletter for serious real estate investors delivered as an Adobe PDF file to read on your PC, Mac, Smart Phone, iPad or other mobile ready devices. Many of the articles and ads in The Profit contain many hyperlinks you can click to get more information online! The high res version of The Profit is "print ready" for those who want to print the newsletter on their home or business printer. Be sure to Subscribe to The Profit by Email or Subscribe to The Profit by Text so you don't miss a single issue. If you’d like to invest in real estate, but you can’t afford to buy property – don’t despair! Think about renting from owners who are saddled with ‘inconvenient property’ and negotiating the right to sub-lease their property to others. This is Master Leasing - the leasing of a property from an owner and then sub-leasing that same property to a tenant. I believe Master Leasing is the most economical way to get started in the real estate business today. It is a way to produce an immediate income stream without large amounts of capital. Master leasing is an incredible tool, which can benefit both owners and investors. 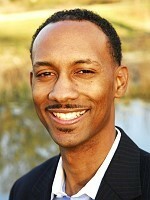 I also like to use my personal Credibility Kit to find more private lenders for my Real Estate Investing Business. You already have all the information about yourself and your company and deals you have done in one place to show your potential lenders. From 2013 through 2016, Kim and I have rarely been the high bidders on a property at the foreclosure auction. Why the dry spell? Because the cheese has moved! For example, from 2007 through 2009, the best deals were found buying short sales. From 2010 through 2012, the best deals were found buying at the foreclosure auction. From 2013 through 2016, the best deals have been found by buying pre-foreclosures. Remember, the cheese is always moving. To be successful, you can’t keep going back to where the cheese was – you must go to where it is today! Here are the basic steps Kim and I follow when bidding at the foreclosure auction. (NOTE: Be aware that each state’s foreclosure laws are different.) First, in Georgia, before a property can be auctioned for foreclosure, it must be advertised in the county’s paper of record for four consecutive weeks before the auction. Call your county’s Clerk of Court’s office and they will tell you in which paper and on which day(s) the “legals” (including foreclosure notices) run. It is about time that you are making your very first “get the money” presentation. I am not going to tell you much about my first presentation for money, since it was so long ago. I think I was 3 years old and wanted some candy. I am sure it did not turn out very well. I think I did the presentation in front of the wrong audience and I was not very professional. My ‘ask” presentations have gotten much better especially since I know how to effectively raise capital today and every day.